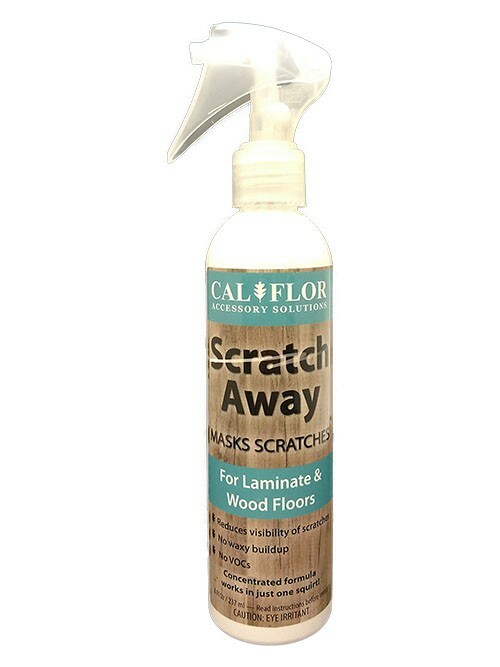 Find great pricing on Cal-Flor Vinyl and Tile Repair kits and the miracle Scratch Away. Easy-to-use repair putty for chips, dings and dents. This wood filler can applies smooth and isn't sandy or sticky. Use as a wood, laminate, tile or vinyl floor repair. ChipCure furniture repair putty comes in a 30 gram container and choose from 5 colors. Cal-Flor ColorSeal floor gap filler is a revolutionary expansion joint sealant that also works great for filling nail holes in wood. With six different color options, you will surely find a door jamb filler that will match. Sold in an easy-to-use 5.5 fl oz tube. Fast repairs for wood and laminate floors or furniture by Cal-Flor. Color matching formulas for 9 colors included with wood repair kit. Economical and effective! Mask surface scratches in your pre-finished wood counter-tops, furniture and laminate flooring. This safe and easy-to-use scratch masking treatment comes in two convenient sizes. Economical and effective floor scratch repair pens by Cal-Flor. Cover scratches in wood and eliminate white wood stains with this easy-to-use repair pen. Use for vinyl floor scratch repair too. This 1 oz ScratchCure pen is available in 5 different wood species and colors. Quick and easy tile repair with the Cal-Flor TileFix kit. Almost any ceramic tile, marble, concrete, or stone can be matched with this handy kit. Cal-Flor Mix2Match Vinyl Repair Kit matches and repairs damage on any hard surface. Virtually any color vinyl & LVT can be matched with this great kit!